I too have consumed rather a lot of coffee and have not gotten much writing done. The latter is not entirely true. I write, often. I write and re-write and process and write some more. Yet, the words don’t seem to fully express the way my body feels as I move about this City of Light nor the way espresso wakes up my tongue. I write and rewrite and process and write some more and the essays are stored neatly on my desktop as a reminder to revisit them, much like the books neatly arranged on my bookshelf that I have committed to read. I have photographed and interviewed sixteen people, surpassing my goal of twelve, and there is a lot of information to process and interviews to transcribe. To give myself space, I frequent my café. I have a café. It is a wondrous thing to have a café. A place to go to and simply be. A place to go to where the waiters know your face and your drink of choice. James Baldwin had a café. Or at least it is safe to say he frequented several and at least one was his favorite. Baldwin wrote most of the novel Go Tell It on the Mountain in the upstairs room of Café de Flore, which, along with Les Deux Magots, is located in Saint-Germain-des-Prés in the 6th arrondissement. Ernest Hemingway, Chester Himes, and Richard Wright were known to have frequented Les Deux Magots, and it is said that it is there where Wright confronted Baldwin about his thoughts against the protest novel expressed in Baldwin’s book of essays, Notes of a Native Son. I accepted the invitation. I went to Café Le Rouquet and found Ted’s table. It was occupied by a petite woman drinking red wine and eating cheese. I sat next to her and ordered an espresso. 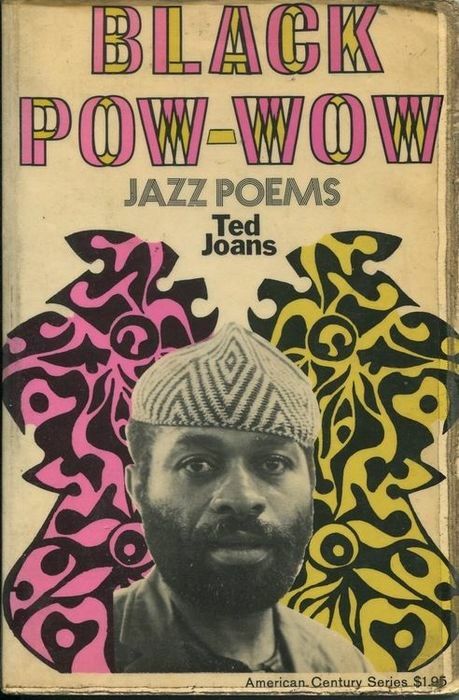 I whispered, “Hello,” to Ted and waited for him to respond, to show me he was there and knew I had come to visit him. An hour and half later, having not received any messages from Ted, I decided to leave and tell him so. I believe I actually whispered, “Forget you then, Ted. I’m out!” Just as I said this, the petite woman paid her bill and leaves before I do. I grabbed my bag and checked my phone. It was 3:58 pm and I realized I had arrived earlier than instructed. I laughed and asked out loud, “Ted?! Did you clear this table just for me?” in a voice that was between a whisper and one reserved for a library. I sat at his table and immediately understood why it was his favorite spot. 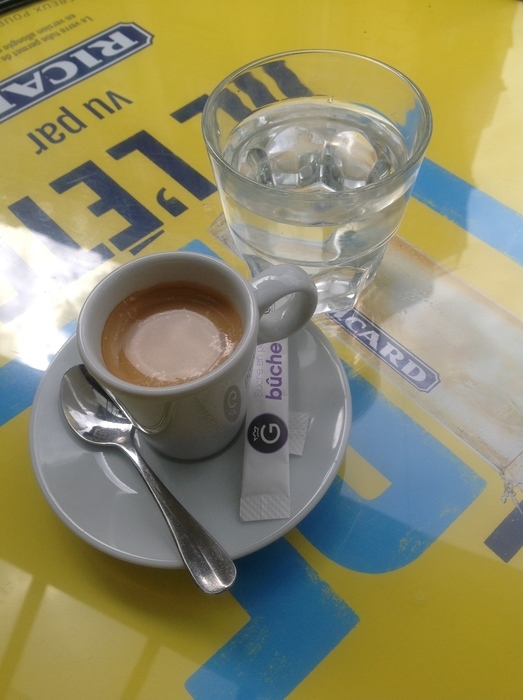 My café is Le 138 and it sits at the corner of Rue du Faubourg Saint-Antoine and Place d’Aligre, in the 12th arrondissement. It is moderate in size, the food delicious, the music worldly, the waiters friendly, and the espresso strong and inexpensive. 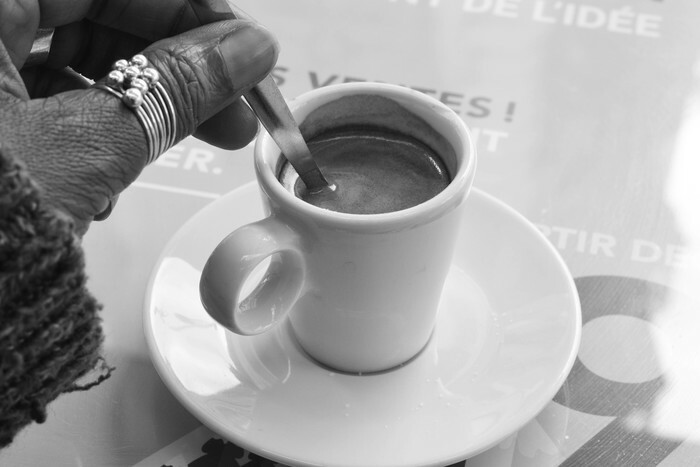 I drink décaféiné and have been known to chase it with a chocolat chaud. My preferred place to sit is outside on the terrace in a green and beige wicker love seat just left of the entrance off Place d’Aligre. It is here, where I sit quietly and engage with the world by looking without attachment and by observing without judgment. I did not choose Le 138, nor did I seek it out. I found it quite like many find love: naturally and unexpectedly. I stumbled upon it one rainy afternoon while in desperate need of a mobile phone. 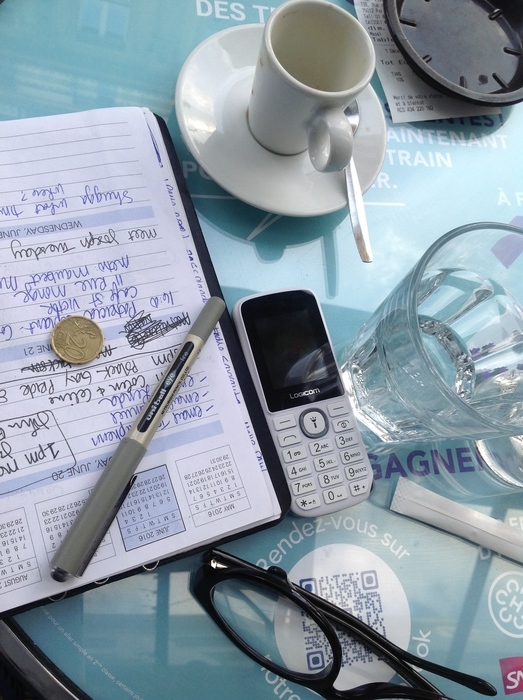 I had been in Paris for a little over a week and was happily “unplugged” when a Twilight Zone-like taxi ride left me 70 euros lighter, a bit wiser, and with an updated to-do list which read: 1) Get mobile phone! 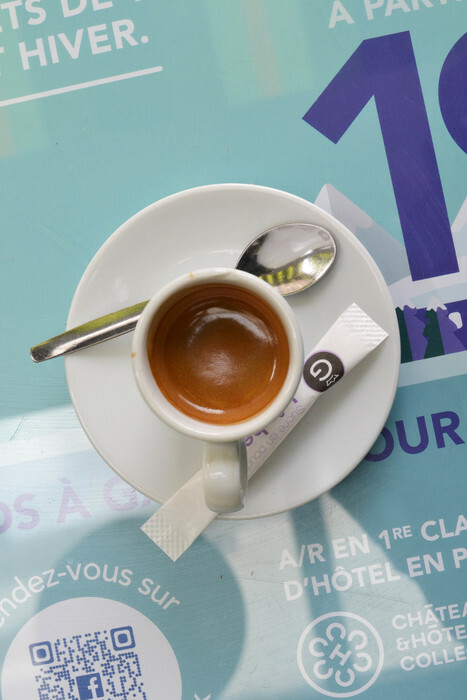 In a hurried frenzy towards a grocery store to buy one, I rushed past a café with a single row of people sitting on street-facing benches with little round tables upon which sat compositions of tiny white espresso cups and red wine-filled wine glasses. This scene is not unique to Paris. On just about every corner is a café, and on every block there are at least two (I alone pass fifteen cafés to get to Le 138). Yet, there was something about this one that caught my attention and I promised myself to visit later during the week. When I return to the café, the terrace is empty and I sit in a wicker love seat. My body relaxes and I inhale the damp air, it is drizzling lightly. I close my eyes and focus on my breath. I feel alive. I watch a blonde woman walk by with a small red-headed child trailing behind her on a blue scooter. A tall slender man with skin the color of midnight slowly walks by in the opposite direction. He is holding the hand of a small child, similar in color, who is holding a baguette almost twice its size. Couples riding mopeds speed by; on another, a woman riding alone wears a dress and high heels. Every Parisian that passes by is as unique as the scarves they each wear. The rhythm of the city ebbs and flows and I am not aware of any one particular thought. I watch as others join me on the terrace, they order and enjoy lunch, and leave. Eventually, when I look at my phone, two hours have passed. I am not aware of time. The days are long during the summer in Paris and the sun shines brightly until late in the evening preventing any evidence that the hours are passing. Both my apartment and the terrace at Le 138 lack televisions and my inability to have a conversation in French prevents me from hearing conversations that may reveal what is happening the world. I learned of the killing of Alton Sterling when my cousin sent me an iMessage and asked about my thoughts from France. I soon learned about Philando Castile and then was flooded with imagery of the shooting of police in Dallas. I know that it is a luxury to be in Paris during this time. 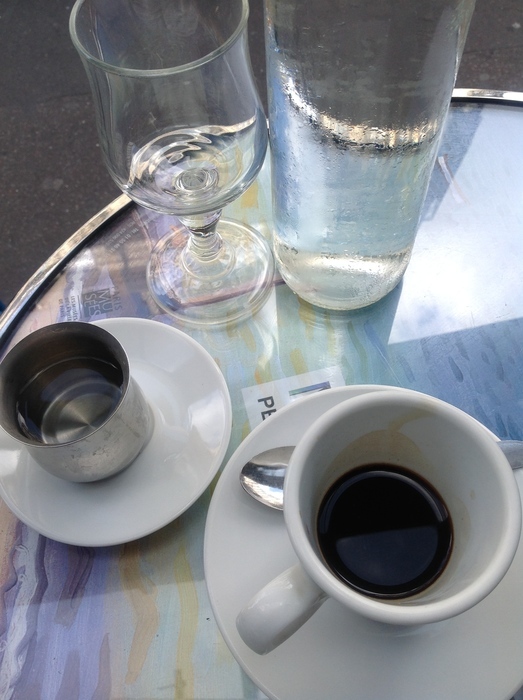 To be in Paris and to sit in cafés and drink wine and espresso with new friends. And, there are times I wonder if Alton Sterling and Philando Castile had had an opportunity to visit Paris and to sit in a café and to learn that their black bodies were not on the radar of Parisian police, would they have chosen to stay like so many others before them? Lisa Diane Wedgeworth is an LA-based artist and writer. 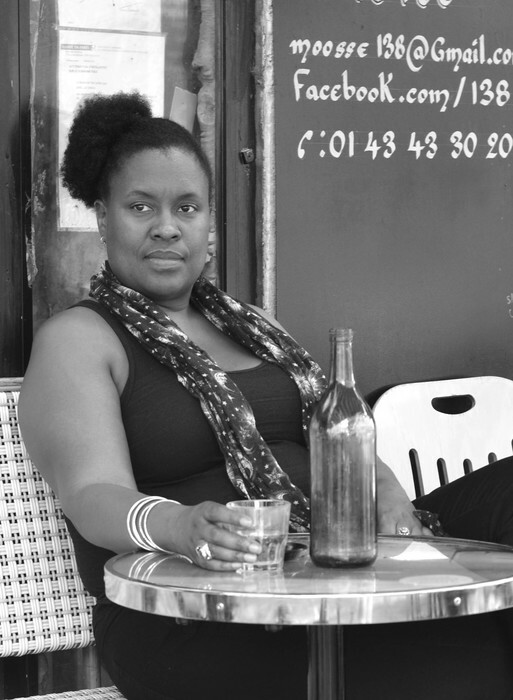 She will facilitate the second in a series of FREE writing workshops at Le 138 (138 Rue du Faubourg Saint-Antoine Metro: Ledru-Rollin) on Friday, July 22, 2016 18:00-20:00.